Thanks to the talented and difference-making Michelle Diana Lowe for nominating me for The Liebster Award! Oh dear…I think I started around 2012! I had blogs before that, but I wasn’t interested enough to keep them up. I donate clothes yearly or twice yearly to a local charity, but besides that I once noticed a car’s parking meter running out and put in an extra quarter. I don’t have one. I like a little bit from lots of different artists and groups. I probably like the most from Moby. Either! I love them both. Orange juice in the spring and summer, apple juice in the fall and winter (because I can make apple cider out of it). I just finished The Painted Veil by Somerset Maugham, and it was absolutely fantastic. Read my review here on Goodreads. That’s too hard! I love The Honeymooners, Miranda, Seinfeld, The Good Wife, Downton Abbey – a good variety of favorites. Yes! I’ve written many short stories, poems, essays, and haikus, some of which have been published and two of which won awards. My book Anatomy of a Darkened Heart is for sale here on my homepage, via Amazon, and via Smashwords. To make being an author my full-time job. I have a loooooong publishing plan, so I’m pumped to make it happen. In the meantime, my next book, Locke and Keye, will be out in fall 2016. 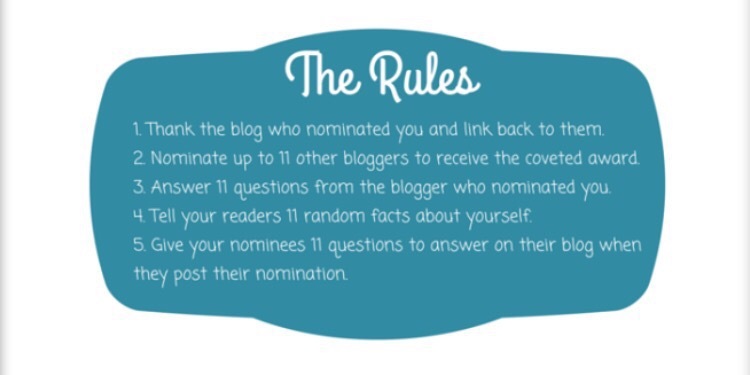 I nominate the following people for The Liebster Award for bloggers – David Kelly, David Ellis, David Spell. All the Davids! 1) If you could only read one genre for the rest of your life, which one would it be? 2) Do you have or did you ever have a nickname you hated? 3) Do you prefer the cell phone age or do you wish cell phones didn’t exist? 4) What time period would you live in if you could choose any one you wanted? 5) If you could live in any fantasy world – anything from a video game, book, or movie – where would you live? 6) If you could teach one lesson to everyone, what would it be? This doesn’t have to be book or writing related. 7) Would you rather carry on sleeping a certain amount of hours every night or would you prefer to not sleep at all Monday-Saturday, then have to spend all of Sunday (24 hours) sleeping? 8) What is the best thing to ever happen to you? 9) If you could melt one book into yourself so you’d always have all of its words with you, which one would you choose? 10) Approximately how many books do you have in your home right now? Library books count. 11) What is your ultimate dream? 1) If I could own all the dogs in the world, I would. 2) Chocolate is the best thing ever invented. 3) There’s nothing scarier than fuzzy mold. 4) If I don’t write for too long, I start to get very moody and depressed. 5) I wish every book I own was also on a shirt in my closet. 6) I’ve never taken a writing class. 7) When I was young, I really thought I could read every book in my lifetime. 8) When I was young, I wanted to be in the Olympics. Still kinda do. 9) I hope to someday teach at my alma mater. 10) I never thought I would write historical fiction. Ever. 11) When I was young, several times I started writing The Book of Information in which I wanted to publish literally all facts, definitions, and objects in the world. I really thought this was possible.